Figured I should collect these somewhere now that there's a full ten eleven twelve bunches of em now. To install, unzip the given folder, install any fonts you don't have, then move the folders into your Magic Set Editor/data folder. First let's drop the Megafile! The Megafile contains (nearly) everything I've released for MSE. This takes a long time to update so recent minor changes may not be in. Current patches to this file: None! Wizards must have thought they were making an untemplatable monster with this, but it never stopped MSE before. Includes several style options to change to Invocation font, snap the cartouche, remove the mana ring and center the name and type, while including systems to replicate the carved-in set symbol and the hieroglyphs. Instead of an indicator, there is a casting cost field by the typeline. Be sure to install the included Invocation font file if you wish to use it. 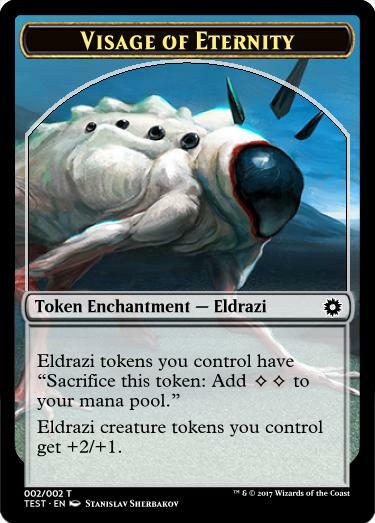 M15 tokens except the text token has been replaced with the full-text tokens some Embalm creatures use. Also includes Clear as a style option. 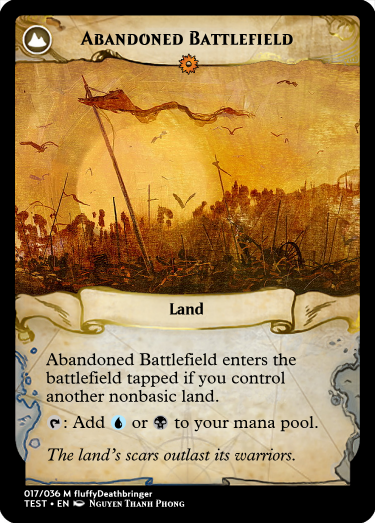 And due largely in part to solthanlas' arting efforts, we can now bring you the template for Unstable basic lands months before the set even drops! Took us a bit to get there but we finally have the Ixalan map template blanked, allowing you to make Ixalands and treasure maps to your hearts content. I plan to make a template fork for full art one of these days. PT is already supported on both frames. 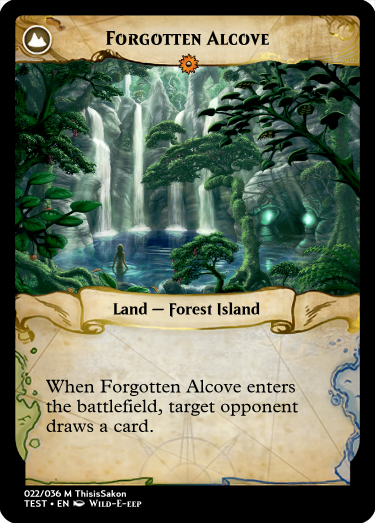 M15 Legendary copies over the text formatting from m15 Altered and has a style switch to use the Vehicle frame. 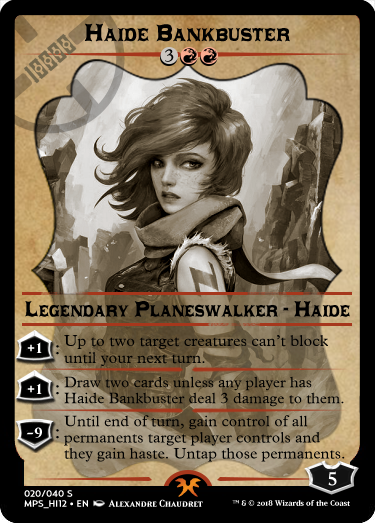 Additional crossovers will have to wait until the Mainframe update (releasing m15 and updating dfc and planeswalkers) in ~2 weeks. 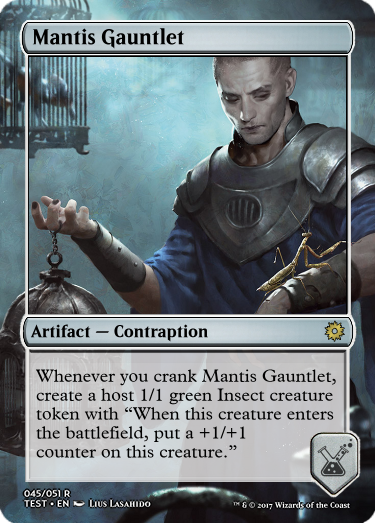 M15 Flavor Bar detects when you have rules and flavor text and automagically places the flavor bar between the two... usually. Unfortunately, MSE was not at all designed to handle this thing, so it will occasionally require some fine tuning. While the equation has gotten quite good at predicting where the flavor bar should be, it can still be off by a bit. For those cases, you can go to the style tab and type a number in the Flavor Bar Offset textbox. Typically you will be bumping it up by "1" or "2" or rarely bumping it down by "-1" or "-2"
My Flavor Bar Has Gone Rogue! The crux of the detection equation is estimating how many lines of flavor text you have. Sometimes the equation gets it wrong. Luckily, there's a simple fix. Typing "u" in Flavor bar offset will make it go up a line, typing "d" will make it go down a line. (for the beta testers, !fbu in the card notes will still move it up as well.) If it manages to get it super wrong you can double it to "uu" or "dd" to correct for two lines, but I haven't seen that actually needed yet. While it's not perfect, we've turned this thing I've thought impossible into something that's actually pretty accurate. I'd like to thank SirnightNano for the way better flavor bar we are now releasing with, fluffyDeathbringer, Vunik, Zeu, and Fenhl for putting up with the beta test and getting some additional correction factors added into the equation, which is clocking in at 74 lines and has about 40% as many characters as a full template. And finally shoutout to CanterburyEgg@admin for keeping me sane during the opening salvo; this probably wouldn't have been done at all without eggo. 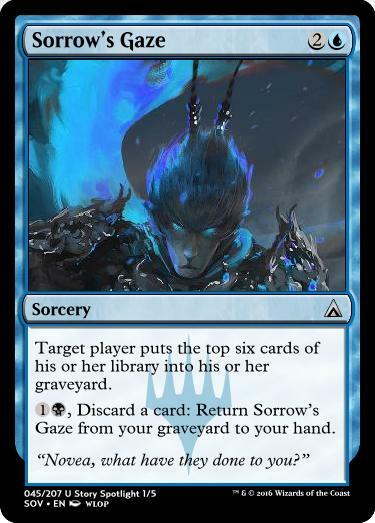 This is the frame used by Signature Spellbook: Jace that has been colorshifted to make a complete template. We don't know yet how future Spellbook frames will be handled, so this may be updated or get a sister frame down the line when the next one comes out. It comes equipped with text chopping (which comes up more often than normal) and the new flavor bar code (which can be disabled in Style). By default the black frame uses white text because its easier to read (imo), but there is a style switch to make it use the black font as well. Unzip the folder and move the two folders inside to your MSE/data/ folder and viola. Make sure you're moving magic-m15-spellbooks and magic-mana-small-spellbook and not just "Spellbooks" or else it won't turn up. Whip those X's, Punch those O's, what we're building, now we knows. The badge in the corner uses the basic watermark field, so you can get other faction symbols in there if you like as well. Don't forget to pick up the Unstable watermarks from the watermarks update if you haven't already! This is an update to the base watermarks file, the identity file, and the blend scripts for the base templates, M15 Extra and New Extra. 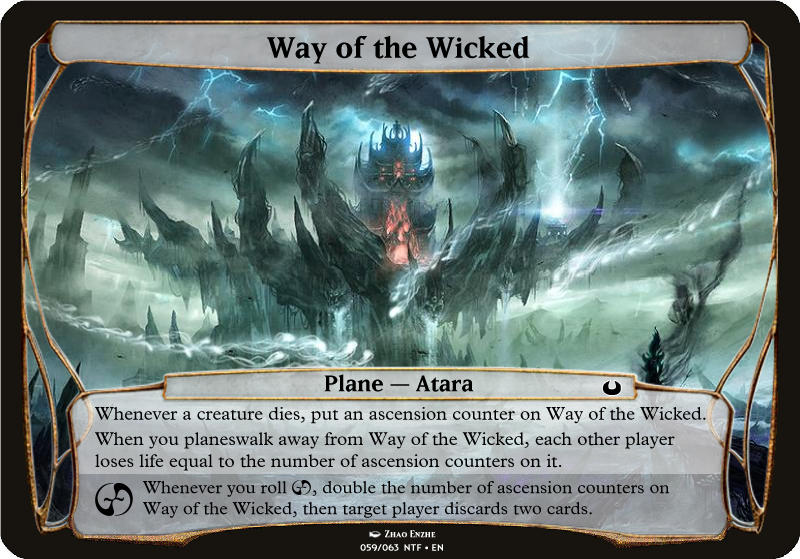 For watermarks, it adds the Story Spotlight watermark which is scripted to card color, darkens the Tarkir watermarks so they are more visible, adds the Alara watermarks that were posted to reddit awhile back. It also changes the scripting for 3, 4, and 5 color indicators so they are pie-shaped instead of striped as shown on the Grimlock transformer. Update: Added the Unstable Watermarks. I have been asked not to distribute the A25 watermarks. First real template, basically just updating the New-Pokemon and PokeWalker frames to M15. Both frames have the evolution dropbar, and a image on the evolution node that can be toggled off in Style. Walkers will gain a 4th ability if entered like M15 Walkers. Basically Devoid in reverse. Made this for crushcastles23 so I don't actually know what you use it for but it looks cool. Adds some code to Levelers to allow for a level 0 arrow and mana symbols in the level box. For if you need weird stuff like this iguess. This includes an update to card_fields that is compatible with Melds 3-in-1. 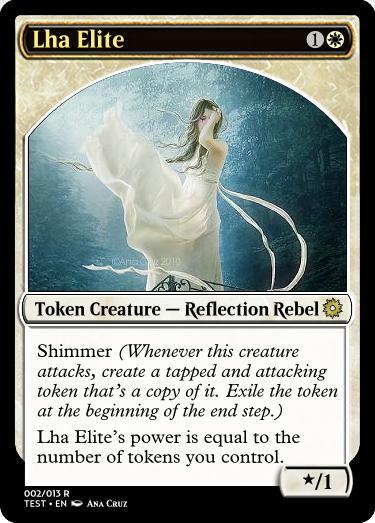 Alteration to Taller Tokens to create token copy cards with mana costs and left-aligned names. Requested by Fenhl. These add Nyx and Miracle toppers to the DKA Promo frame. Requested by Sylph. A modification to the Old Split frame that uses ABU frames instead. Also includes an updated mana folder that adds . Levelers, but there's two of em. Requested by crushcastles23. When some of us heard Invocations, we expected a scroll-like frame, the lost secrets and spells of a broken plane. We didn't get that at the time, but now I've made it happen. Through the style tab you can toggle the wax seal and its stamp, and using the pt box on creatures. Due to the font, there are two quirks to the font, + has to be added via Format->Insert Symbol, and the red hyphen in the typeline is a box, though it will be automagically fixed if your card uses the hyphen. You'll need to install the included font if you haven't already got it from a pre-8th frame. 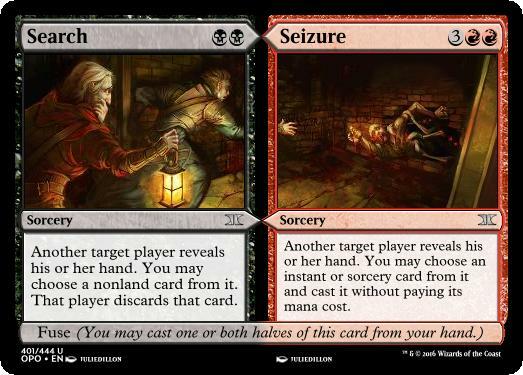 M15 Textless is designed for the fullart version you see on the left there, but has a style option to make the text visible and editable, either for the modified DKA on the right, or to easily add text to these cards for exporting their rules text to Lackey, Cockatrice, or Planesculptors. It's also had a few modifications carried over from M15 Altered. Mainframe is a collection of frames with more advanced options, allowing for a lot more customization of cards and more set-wide options. All of these frames will need the Game Files from the first spoiler, or you can pick up the complete Mainframe Pack here to get them all in one go. - 5 Custom Watermarks per set. - A Masterpiece rarity and set code, and accompanying pack options for including it. - The Wedge Sorting set option has been updated with an Unsorted option, allowing Shard and Wedge sorting in the same set. - The subtypes and dictionary have been updated. If you run into any other real/Magic words that trip the spellchecker, let me know and I'll add them. - Keywords have been updated to Rivals of Ixalan. It also adds some features that have been rolled out to nearly all public templates. I can't host all of those templates, so they can be found in r/cm's various template packs instead. - A second set symbol for the Masterpiece rarity, letting them stay in the main set file while keeping all its functionality. - The copyright line now automatically uses the one in the Set tab rather than being editable. This can be reverted in the Set tab. - A style option "Remove from autocount" has been added, and should be used only after "Options specific to this card" has been checked. 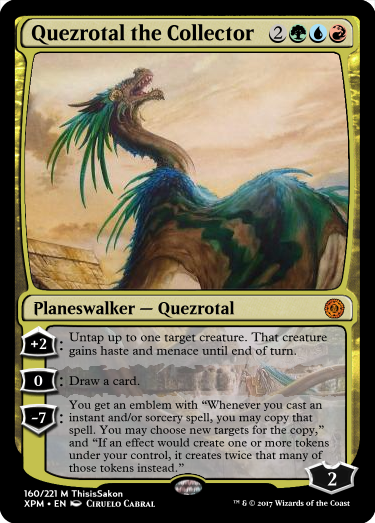 This allows for overcounted cards as seen in the Planeswalker decks, or allowing multiple counts in a set, such as for Masterpieces. - Various styling issues such as centering, color indicators, and broken custom numbers will be fixed up along the way. As we get more and more Mainframe templates, it makes sense to be able to change some settings for all of them in one place, which we can't do in the Style tab. Luckily the Set tab does handle that. 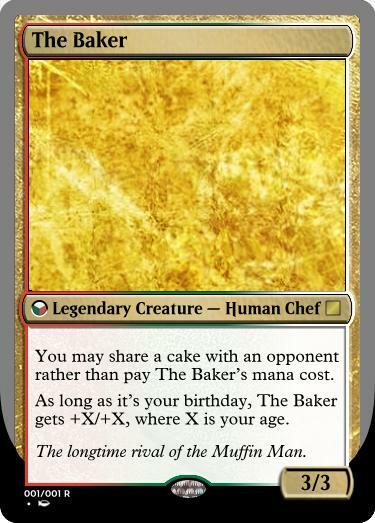 Use Flavor Bar: Enabling this will use the flavor bar on supported frames, currently M15 Mainframe, Mainframe DFC, M15 Future, and Mainframe Tokens. Mainframe Rarity: An often requested feature is to use outside .pngs as set symbols instead of trying to wrestle with the symbol editor. M15 Mainframe finally brings the solution. First, create the .png renders for each of your rarities. You'll want to save these images into MSE/data/magic-mainframe-extras.mse-include (or a folder inside it) as "SETc.png", "SETu.png", "SETr.png", "SETm.png", "SETs.png", and "SETmp.png". You will want each of these even if you aren't using all the rarities, but the extra rarities can just be blank images or renamed copies of the other images. "SET" can be anything at all as long as it's consistent across all the images. Then you'll type "SET.png" into this textbox and the rarity symbol across all the Mainframe templates will update to your png images. You will need to distribute these images alongside the set. I've tried a few things to prevent this but there's no user friendly way to keep the rarity symbols alongside the set file. With that saved we go to our set's Set tab and add our watermarks address within the watermarks file as Custom Watermark 1, ie "cajun/afnan_stand.png" for our example. The grandaddy of all frames is finally ready. M15 Altered has been massively upgraded, with seven frames able to be applied, many in combination with each other. 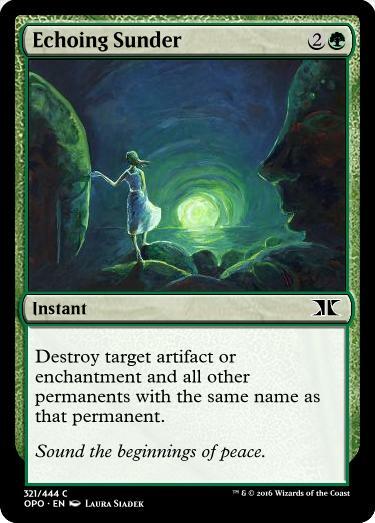 Text Chopping: Text chopping works the same as ever, and will even be saved from your previous M15 Altered, but now has an extra mode. 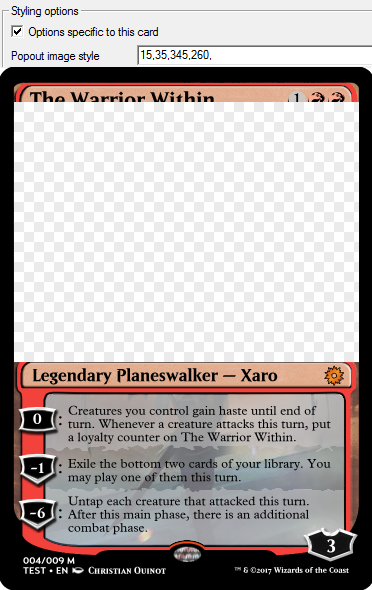 I've had a few requests to change it to be similar to Mainframe Planeswalkers where you type "5,5," in one box instead of "5" in two boxes, and this has been added into Chop Top. 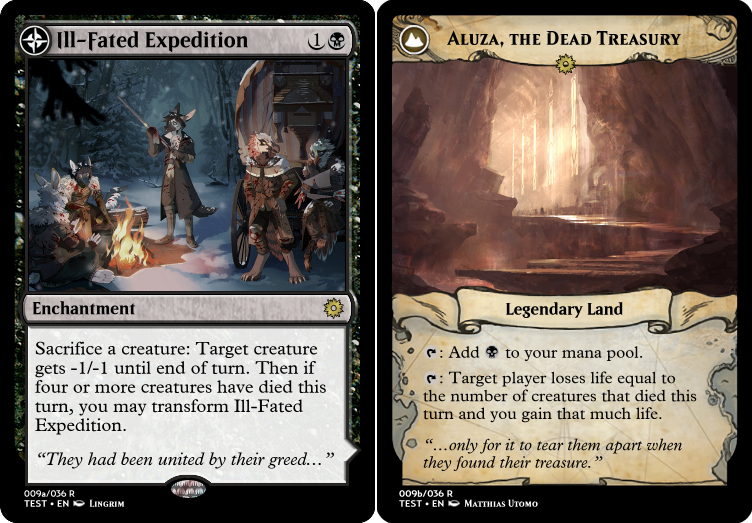 Other options: Some various bits that have been requested, namely the prerelease stamp from M15 Extra, an option to use the brown pt for Legendary Vehicle, the dropbar from the Pokemon template, and the more accurate generic mana symbols created by ancestral. 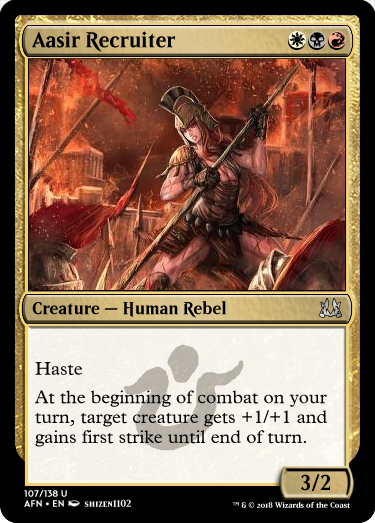 Popout image style: Brought over from M15 Extra (and the other Mainframes now) is the option to place a second image that will go over all the other elements of the card. For those of you new to this, this text box wants the left coordinate, top coordinate, width, and height of the popout images, such as "29,59,316,231," which is the placement of the normal image. Flavor bar offset: Brought over from M15 Flavor Bar, this allows you to tweak the placement of the flavor bar when the equation goes a bit off. Typically you will be bumping it up by "1" or "2" or rarely bumping it down by "-1" or "-2". The crux of the detection equation is estimating how many lines of flavor text you have, but sometimes the equation gets it wrong. Luckily, there's a simple fix: Typing "u" in Flavor bar offset will make it go up a line, typing "d" will make it go down a line. If it manages to get it super wrong you can double it to "uu" or "dd" to correct for two lines, but I haven't seen that actually needed yet. 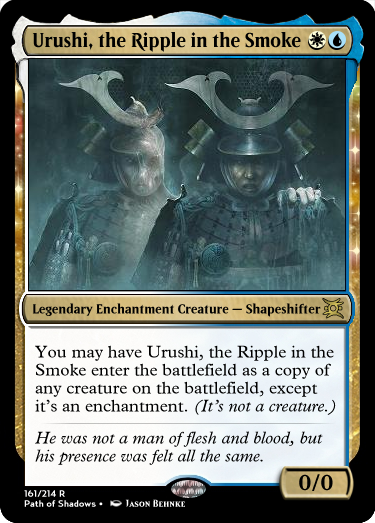 Are you tired of planeswalker abilities that don't fit our unchanging template? Wish you could tweak those lines or loyalty costs even a hair, or maybe just use the 2-ability walker without switching templates? 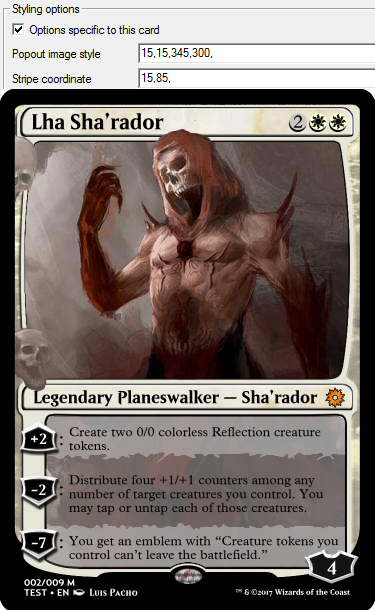 Want to have your planeswalkers break out of the frame like they do on TV on real cards? 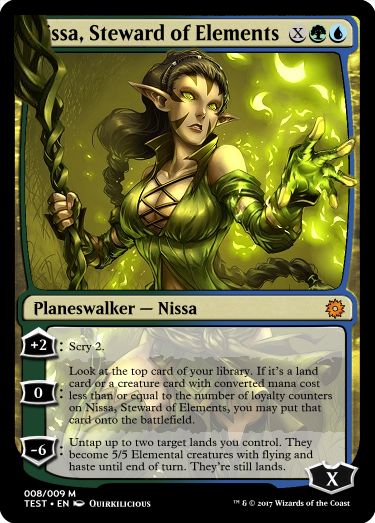 Well then welcome to Mainframe Planeswalkers! 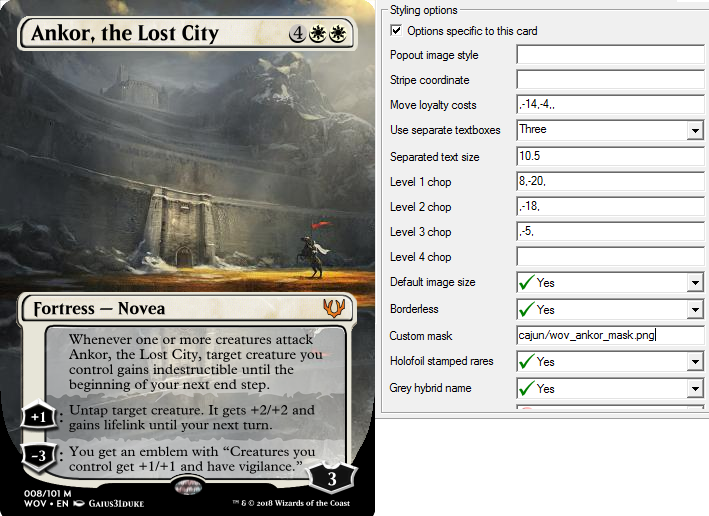 This is an overhaul to the planeswalker frame that allows you to create breakout images, slide the locations of the ability stripes and loyalty costs, use separate textboxes for each ability like the Leveler template, and the ability to use customized imagemasks (which can change both framebreaks and stripe placement). Unzip the file in the link and move all three folders to Magic Set Editor/data. This will overwrite card_fields with some new fields (which will be used in a leveler overhaul before long) and should be compatible with Melds 3-in-1. Here's a rundown of all the styling features and how to use them. REMEMBER to check 'Options specific to this card' before changing these or these will try to apply to every card on the frame. 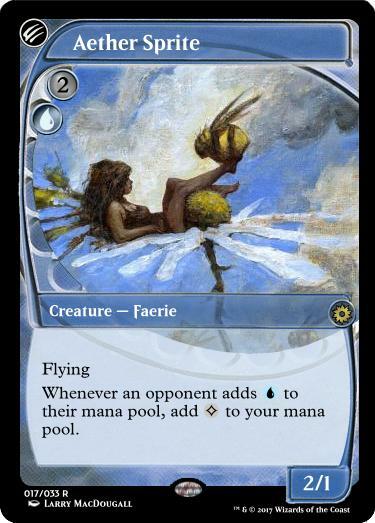 Popout image style: This is one way to add framebreak images to your card. For those familiar with M15 Extra, this is the same code as there. This option wants the left coordinate, top coordinate, the width, and the height of your breakout image, with each number followed by a comma. 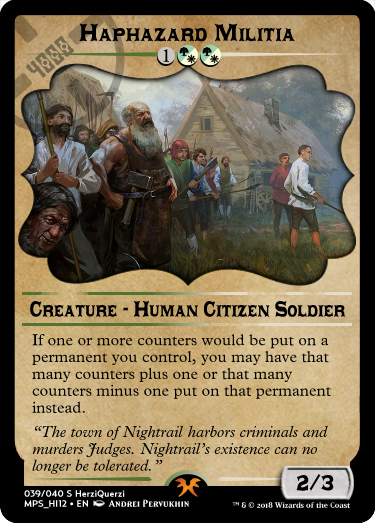 For example "15,15,345,493," will add a new image over the non-border parts of the card. This image supports transparency, so by using a Photoshop or a GIMP, you can cut out everything but the breaking elements of your art and upload that image. Generally you will start this at "15,35,345,260,", which creates an image halfway through the name to the top of the typeline. Sometimes MSE will glitch out and not apply the transparency to this art. When this happens, save and reload, or make your cutout image 1 pixel wider and move it in the upload window, one of these will fix it. Stripe coordinate: This sets the placement of the ability stripes starting at the top of the textbox, using the "#," system as before. 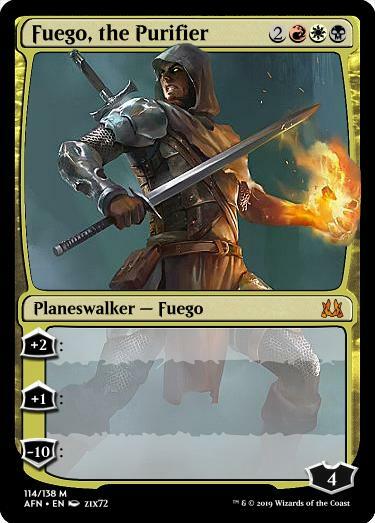 The default for two-ability planeswalkers is "48," the default for standard planeswalkers is "27,80," and the default for four-ability planeswalkers is "21,69,119,". Increasing and decreasing those values will move the ability divider down and up respectively, and a blank space is a zero. Move loyalty costs: Finally, a simple one. This wants four numbers (or blanks) followed by commas and moves the first, second, third, and fourth loyalty cost up that many pixels. If you need to move one down, use a negative. "2,2,-2,," move the first two up 2 pixels, the third down 2 pixels, and leaves the fourth alone, likely because it doesn't use it. Use separate textboxes: This is a dropdown that sets the number of leveler-style textboxes. By default this is turned off, using the default M15 Planeswalkers code. 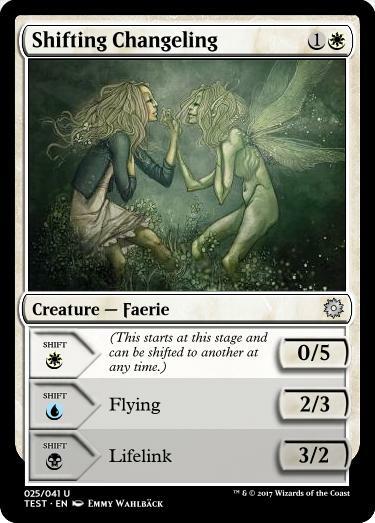 Two-ability planeswalkers can only be used through this option. Separated text size: This is used to cap the font size used by the separated textboxes because this can't be scripted automatically. The default is 14, but you will typically set this between 9.5 and 11. Level N chop: While the textboxes are keyed to the Stripe coordinate option, sometimes it doesn't quite work out (or you're using a custom mask). For those cases these style options let you tweak the top and bottom of each of the textboxes. 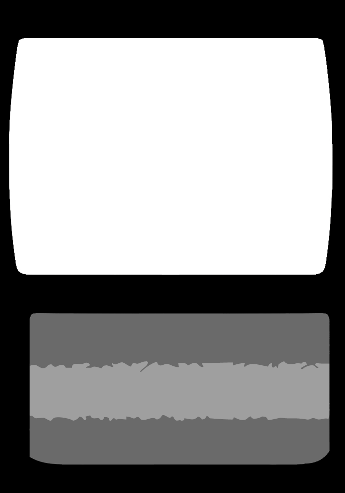 These work similarly to the loyalty costs, "2,2," will move the top and bottom of the textbox up 2 pixels, "10,-10," will make the textbox 10 pixels taller in each direction and so on. Default image size: Disabling this will increase the size of the image so that it extends under the name, making it easier to get an image to cut out for framebreaks. Borderless: This increases the art size to cover the borders, which can be used for fortresses. Custom mask: Warning, not for the faint of heart. Normally, the ability stripes are created by an image mask that selectively makes the image transparent. 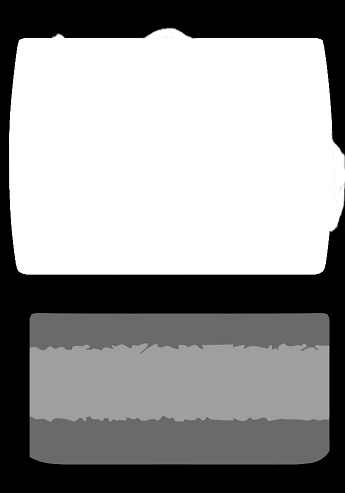 Image masks look like this, with black being completely invisible, white being completely visible, and gray being the partial transparency seen under the abilities. Several of these are included in the template, which can be edited (even in something as simple as Paint) the change the size of the image stripes or erase parts of the frame to allow the art to break out from underneath. Framebreaks done this way can't break the border and will go under text. Once you have this mask, save it to the folder bundled with this named "magic-mainframe-extras.mse-include", preferably with a personal subfolder so as to not accidentally interfere with anyone elses. It comes with a few of my masks both as an example and as possibly usable masks. If you distribute a set that uses this method, be sure to distribute any of these masks as well. If the mask can't be found, the render will have a blank image (and if you wind up in this scenario, just delete the '.png' to use the default mask without losing the mask name). While the subfolder and descriptive names are only (very strong) suggestions, these masks have to be .pngs in magic-mainframe-extras.mse-include in order to work. What's All This Mainframe Noise? Mainframe started out as a template that would contain all the M15 frames in a single style. Unfortunately, there are a lot of issues inherent in that, some of which are project-breaking. For the time being, Mainframe will be a series of unified overhauls. Following in the footsteps of Mainframe Planeswalkers comes Mainframe DFC, allowing you to break out MainWalkers code to sparkers, sacrificers, and double-walkers. 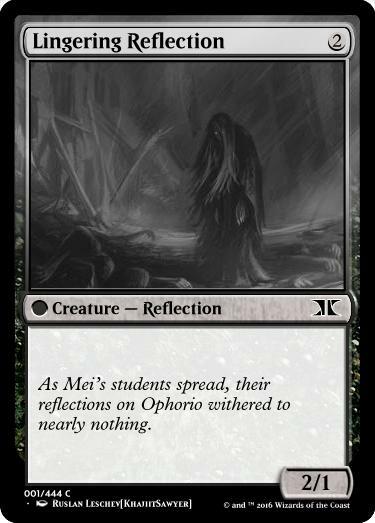 It also brings the clear, nyx, miracle, and map frames that can be applied to either side, along with the doublecast mana flags, the meld overlay, text chopping and M15 Altered's name and type shrinking, fixes the over-shadowed backface pt boxes, and some other QoL features like being able to remove the hovering PT or change it to a hovering loyalty. And for those of you who like experimenting with DFCs, two Custom slots have been added to the Transform symbol, which can be set to a location in magic-mainframe-extras.mse-include from the style tab, just like the custom masks from Mainframe Walkers. I've been working with this a lot the past few days, but this is possibly the most complicated frame we have now. If you do happen upon a bug, or something that you think is missing, let me know and I'll fix it up as quick as I can. 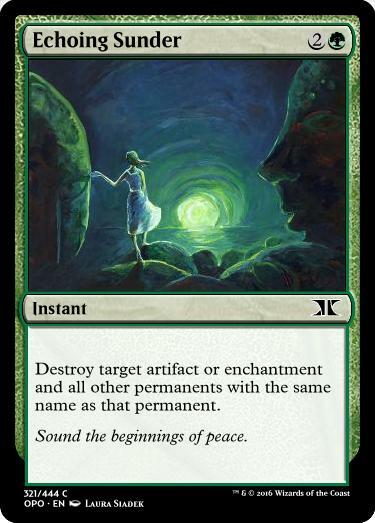 Due to the complications of the DFC frame, Planeswalkers use separated textboxes instead of a combined one. Switching to 2 or 4 abilities (or any of the other frame styles) is done through the Style tab. For those keeping track at home, MDFC obsoletes 17 frames (not counting Append which still has some tradeoffs ithink) and clocks in at 1.3x more code than DFC Append Walkers, 1.5x DFC Append, and 2.1x Mainframe Walkers. This does some tweaks to the M15 Split template to make it line up with the ones seen in C16, and can be automatically converted to the Fuse template by typing anything into the Fuse textbox. It also adds a style option to disable the holofoil stamp if you find it still too in-the-way. Now that we've got a few token frames under out belt, there's been a few requests for crossovers, so lets just knock them all out in one go. 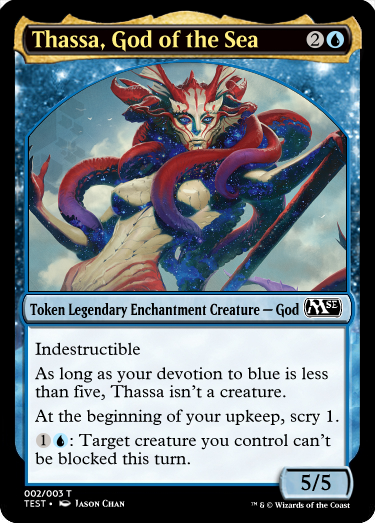 Mainframe Tokens combines the Token Copy, Tall Tokens, Legendary Tokens, Clear Tokens, and HonchkrowDavid 's Nyx Tokens in almost all of their iterations (there's no clear+nyx, but everything else works). As above, Mainframe Tokens works with the mainframe rarity, flavor bar, and auto legends Set options. 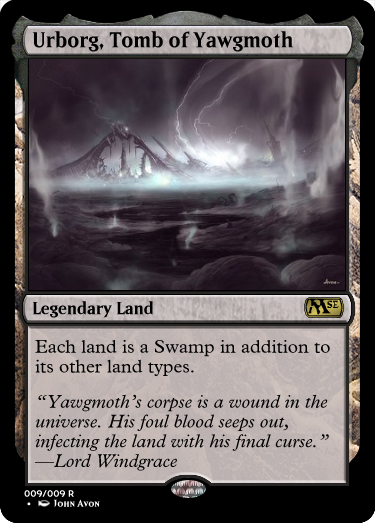 It also has the prerelease stamp, ancestral mana symbols, popout image, and name/type altering, plus two options requested by crushcastles to center the pt box and remove the rarity symbol from the line, giving more room for the typeline. This one's been around for a long while as the frame that creates the emblems for MSEM, however it is a very fiddly frame, requiring some image editing outside of MSE. I am finally releasing it because I've made an update that allows you to include all the pieces in MSE instead of extra files. So how does this frame work? To create this, open "emblem_frame_mask.png" from the folder in your layering image editor of choice, then copy the art from MSE and paste it as a new layer, with the bottom of the images lined up. On a third layer, paint over the parts you want to break out with black, then merge the third and first layers. On the Style tab, change the Mask dropdown to Upload. This will add another image field to the card, where you will upload this image. Finally, change the Mask dropdown to Custom, and it will apply the mask. 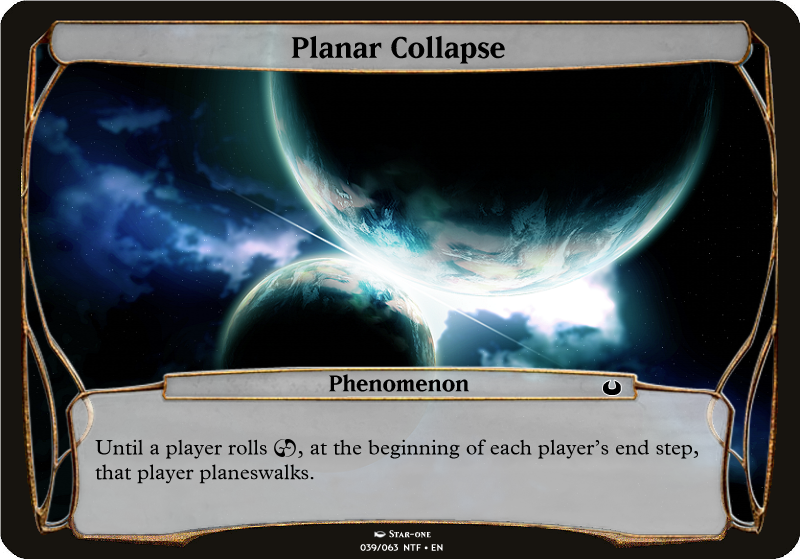 Mainframe Planechase adds a new Planechase frame using the "M15" version seen in Anthologies, separates the static and chaos text boxes, and automates Phenomenona. In the style options I've added three 'chaos break' options to allow for longer static or chaos abilities, a font size option for a little more tweaking, and an option to disable copyright and center the card info cause I just think that looks nicer. 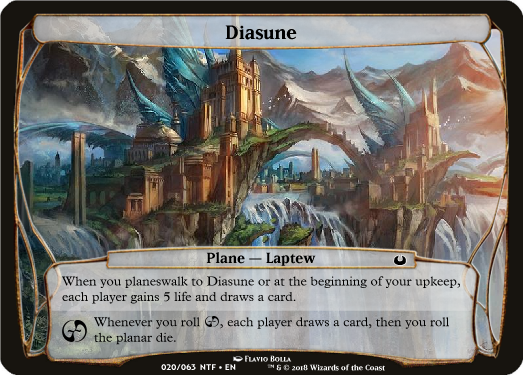 It also carries over Masterpiece and auto-copyrights from the Mainframe updates, and we'll see about updating the rest of Planechase to it. A template that shrinks Mainframe Planes down to split card size. This isn't a perfectly even shrink so reimporting images into the tiny frame is recommended. Requested by 5lacker. 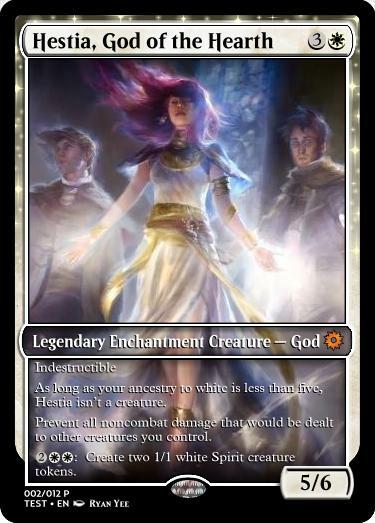 Despite WotC's best efforts, this is the Dominaria Sagas frame. With this you can fiddle with the ability placements and textboxes, and add in the full size watermarks. The reminder text is automatically added but also editable. Those of you who have used Mainframe Planeswalkers will be familiar with the controls, but here's the crash course. Sagas require a bit of work in the Style tab, so let's head over there and see what's new. Chapter textboxes: This sets the defaults for two, three, or four boxes. The next two options will override this if they conflict. Chapter divider coordinates: This controls the start/stop points of the chapter textboxes, and is formatted from "1," to "1,2,3,4," with the defaults along the bottom again. These are going to range from 200 to 400ish. Separated text size: This controls the font size across all the chapter textboxes. If you need to change it 10 or 11 is usually your go to. Wider watermarks: This is for the more artistic after the full Saga experience. On normal watermarks, this will allow them to spill over the bookmark, but allows you to use a custom watermark that is the proper size. 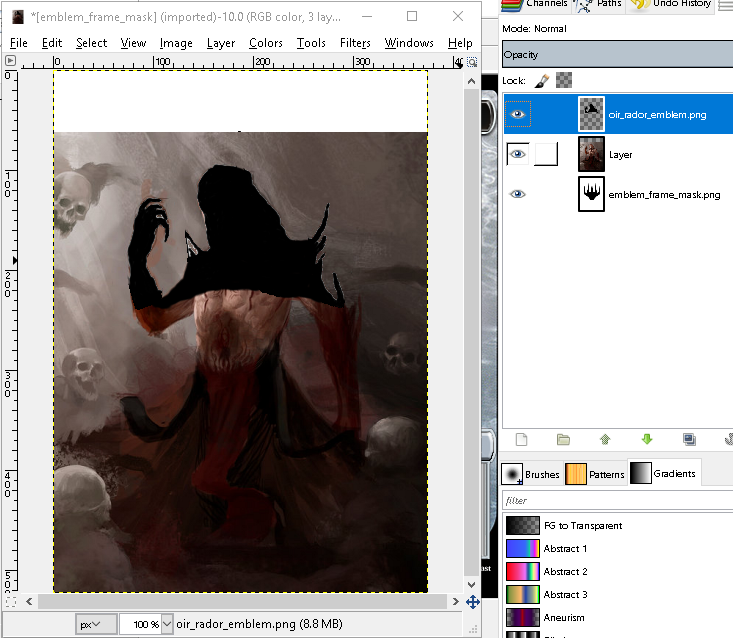 Included in the style folder is "watermark_mask.png", this is your aspect ratio and also your layer mask. Well What Do I Do With It? How Do I Export This? 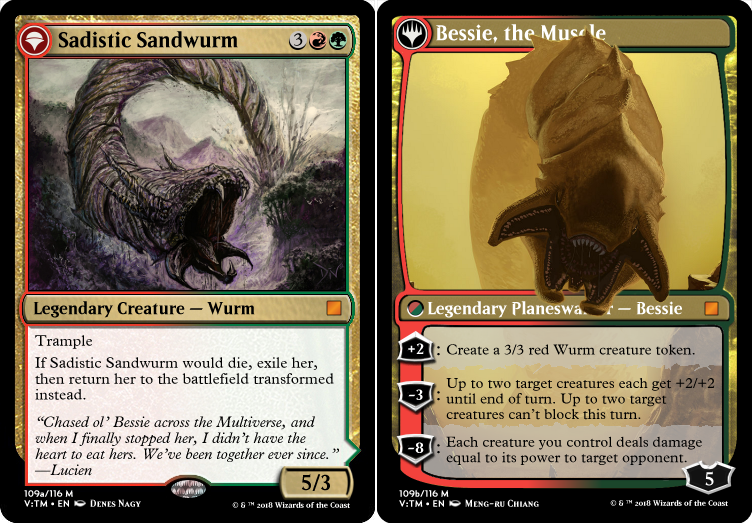 For those of you exporting Sagas to Cockatrice, Lackey, Planesculptors or w/e, Sagas throw a bit of a wrench in the code. I've worked my magic to make it as smooth as possible though. There is a new field, card.special_text, that is normally blank, but will write out the combined text for Sagas (and possibly walkers in a coming update). Anywhere where you would use card.text, you'll want the following instead. card.special_text retains all the tags from card.text, so whatever you're doing there will be fine. 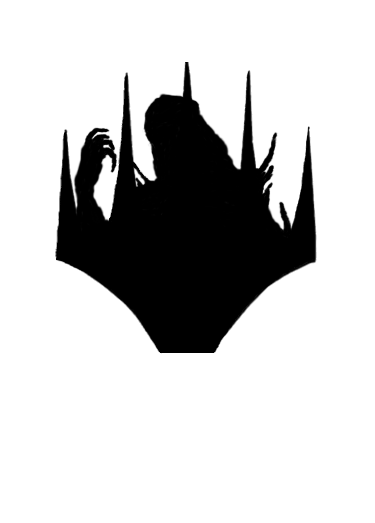 I, II — Create a 1/1 black Rogue creature token with <kw-a><nospellcheck>lifelink</nospellcheck></kw-a>. 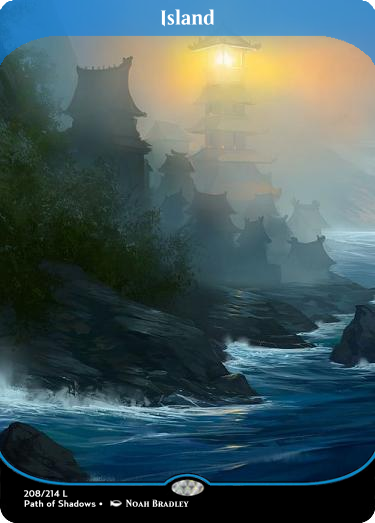 III — Each opponent loses life equal to the number of tokens you control. You gain life equal to the life lost this way. This is basically the Future frame updated with the standard M15 border and Beleren font. The default type symbol has also been updated with Fortress and Aetherprint added, but this and the font can be reverted in the style menu. Additionally, the symbol has been added to the casting cost font. 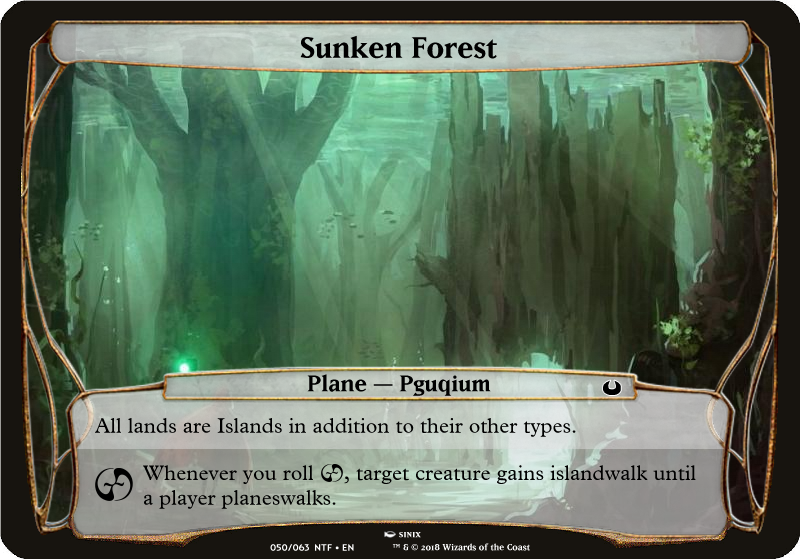 Supports hybrid/multicolor/artifact, identities and tombstones, and now land frames and p/t boxes. The bottom frame hybrid is 'sideways' but you can set the blending to vertical to put it normally. A loooooong overdue update to the Namecheck Exporter, bringing it up to RIXBBD's names. This is an exporter for MSE that produces a text file of all card names that share a name with canon card names. Simply open the set you would like to check, ensure you're on a nontoken card, then click Export Set-> HTML-> Name Check. You can optionally check for cards with no artist credit as well. Save it somewhere you can find it. Open it up for a list of shared names! Another overdue update to the Lackey exporter with instructions to create your own plugin for it. 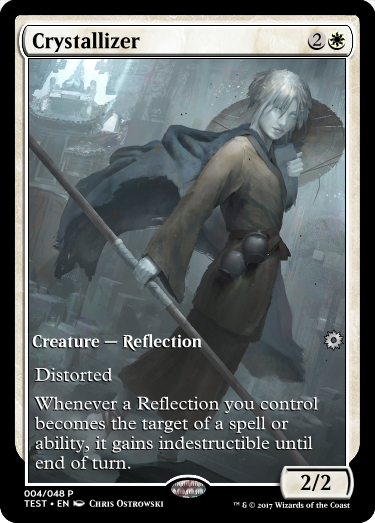 On top of some fixes, token creation, scry, reveal/look/exile scripts, entering the battlefield tapped or with counters, and planeswalker abilities are now automagically scripted within Lackey. 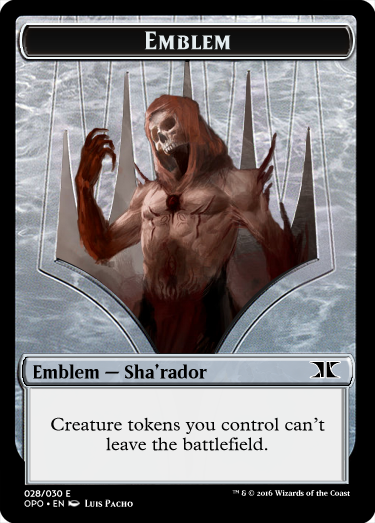 Note the tokens and emblems need to be in the same set file for Lackey to make the tokens. - Download this and unzip it. - Open the set file to export. - If this is a new set or an image update, set export images to yes. For just allcards updates, you can disable it. - In the SET folder, cut the images at the end, labeled SET1, SET2 etc and paste them into the tokens folder in setimages. - Rename the plugin/sample folder to the name of your plugin. - And if you'd like to add packs, open the packs file and open packdefinitions1.xml in Notepad. There is a template there for packs with or without mythic rares, all that needs to be changed is the TST to the set code you exported with. - Once you're ready to share, zip the plugin folder and upload it to your site of choice. - Autoscript only checks the first four paragraphs per face. - Subtypes can be any word that starts with a capital letter. 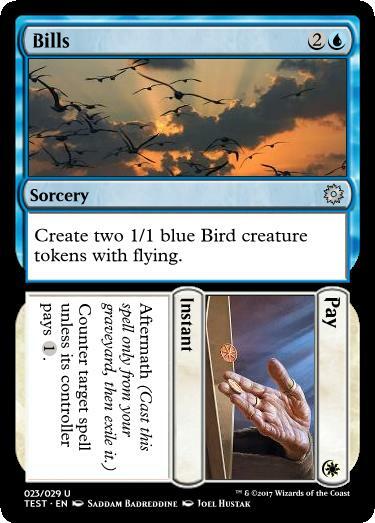 Tokens must have at least one subtype to be autoscripted. 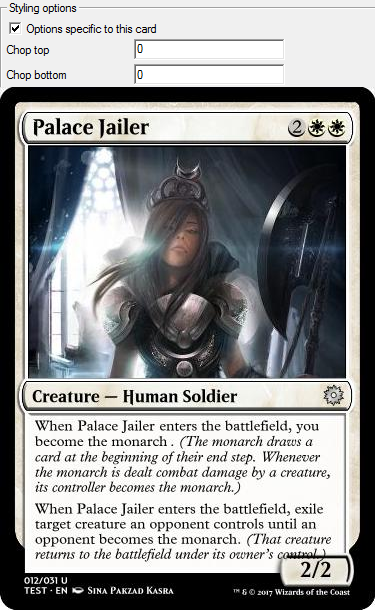 - "Create ten 1/1 white Soldier creature tokens, ten 2/2 white Knight creature tokens, and ten 3/3 white Angel creature tokens with flying." works but "Create twenty-one 1/1 white Soldier creature tokens." 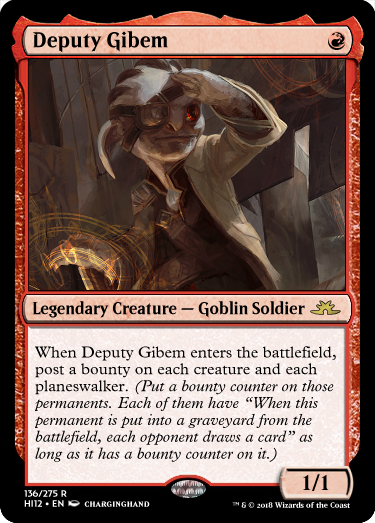 and "Create a 1/1 white Soldier creature token, a 1/1 blue Soldier creature token, a 1/1 black Soldier creature token, and a 1/1 red Soldier creature token." do not. - Autoscript can't handle Scry 10+ or reveal/look/exile more than twenty cards. ##where is red, green, or yellow, and X is your number. I am very excited with the legend template, I look forward to it!! Finally, on the back side of the cards, the color indicator is not visible. I'm sorry to throw this all at you, but I'd really appreciate your help! evelphreak I believe the delayed data is a non-damaging bug that will clear up after you save and reload. As for your color identity problems, that sounds like an out of date Blends file. You'll want to move the folders from the Marks update to MSE/data/, that does some updates to the Blends, Identities and Watermarks folders. Might end up adding that to the Mainframe Game Files now. cajun Thank you! I wasn't able to save the set file before, but now it looks like all the problems are solved! Turns out someone did get to the Token Legends, so I'll also pass that along w/ the token updates I've done. Also @ people who have got the file so far, I forgot to change the preview image. 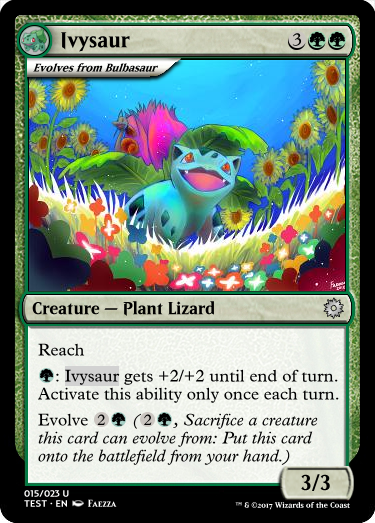 You can fix it alone by saving this image as "card-sample.png" to MSE/data/magic-m15-legendary.mse-style or getting the updated file from the download link. Awesome, I've been waiting for this. The copyright line isn't showing up for me, though, and card art on existing cards gets shifted up a pixel or two when switching over to the legendary frame. Otherwise this is great! sbq92 those are both features, not bugs . M15 has a thin black border around the art, but on many of our frames the border is 2px at the top, 1px on the sides, and 0px on the bottom. 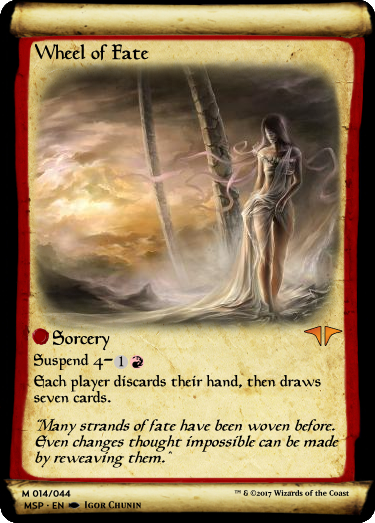 M15 altered, and by extension Legendary, bumps the art up a pixel to fix that. You can't click the copyright bar because I've updated all the frames to have an Automatic Copyright option, whatever you type into the Copyright field in the Set Tab will automatically apply and update to all the cards on the updated frames. You can disable that and go back to the original method from the Style tab. 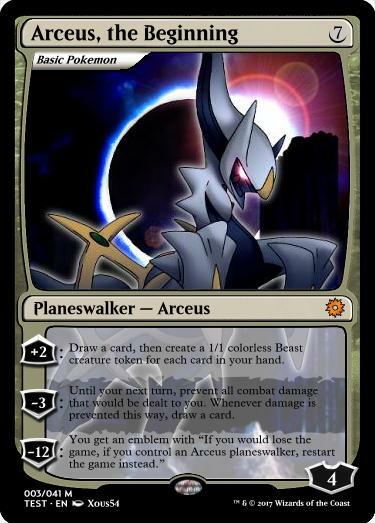 I really love the template of legendaries, I thank you very much, by the way, will you export this template to make promos full art and double-sided letters? Cajun I have the same questions as sbq92, but i don't understand your answer. 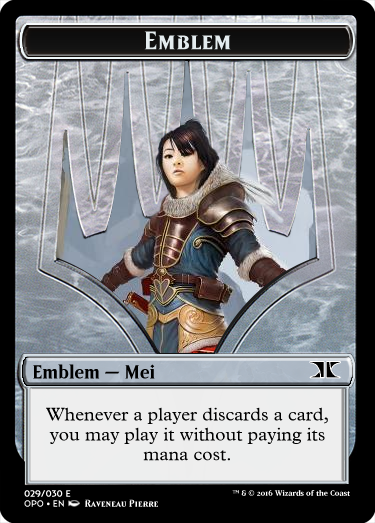 Normal i have M15 as standart Template and by making a "new card" the Copyright line from "set info" is automatic made on the new card. Now I change Templates style to one of your Templates like M15-Legendary and the Copyright line disappears, and it gives me error messages in the console tab, saying. As i understand you have turned the Copyright line text box off, how do i turn it back (or get it to show the line)? and fixing the error messages? It slows down the program alot, as it keeps making them over and over again. Thanks for making the new Templates. 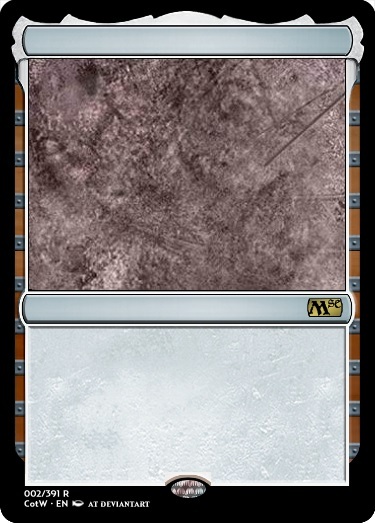 PS: When I choose to make M15-Legendary a vehicle there are or the holofoil stamp has a outline box above it. see the image. @pixi-Rex Your issue there is because you have the card set as a vehicle, but not as an artifact. 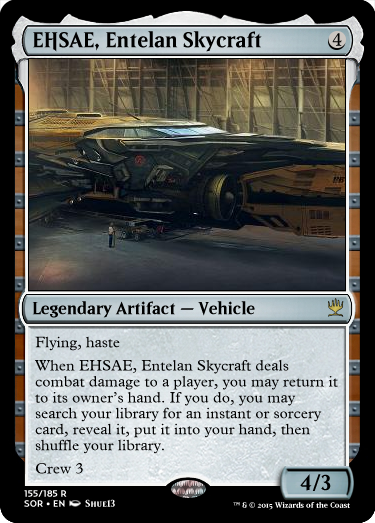 It's a weird bug with how the card's elements are blended together, but as soon as you set it to an Artifact - Vehicle it will behave itself. The p/t box won't look like a Vehicles though, which is another little buggette that Cajun will surely get around to. As for the picture moving, don't worry about it. As long as the picture doesn't have a big blank line somewhere from it moving it should still all be okay. Pixi-Rex The copyright errors would be because you are missing the updated game files that add in the code to support that. I did forget to add in an override for the stamp color tho (SirNightNano is correct that making it an Artifact would also fix it). That has now been fixed. SirnightNano if you check Weatherlight, Legendary Vehicles don't have the brown pt box for whatever reason. 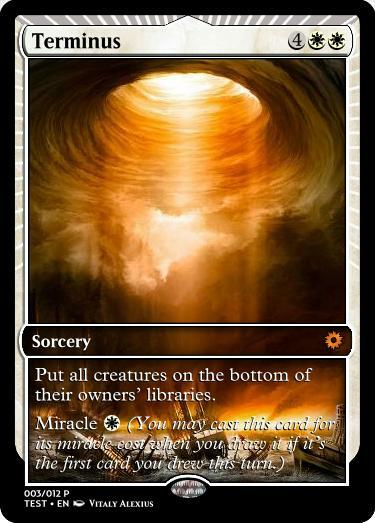 This will either be brown or togglable in m15 mainframe. SirnightNano ok, thanks for pointing that out. Cajun ok, but where do i put all the fils in the "updated game files". should i just put all 5 fils into data? Yea, all the .mse-(whatever) folders go into your MSE/data/ folder. I recently reinstalled MSE and went through adding all the templates I had. I downloaded from Pichoro's hub first, Here. Then went to download Acorntail's Here. Then downloaded the zip files in this thread and finished with Mahx Michael's Here. 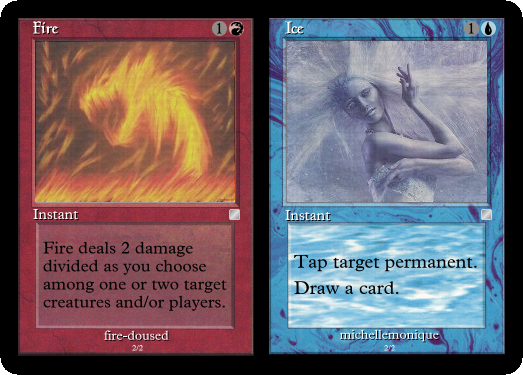 Finally added the energy counter symbol to the magic-mana-small.mse-symbol-font. I cannot find the legendary templates, nor the awesome clear to color template in this thread. 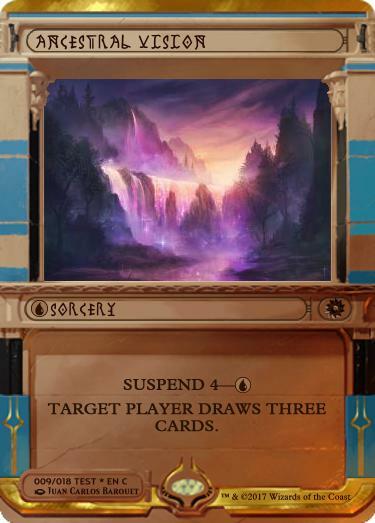 Also, not sure if it related to the M15 extra update, but the M15 extra template does not allow for the purple mana symbols. Is there a suggestion or an order in which I should install these? re: purple - is it the textbox or the mana cost that is causing you issues? If it is the textbox, you just have to change the Text Box Mana Symbols dropdown in the Style Tab to M15 Extra w/ Extra Colors. re: order - Nowadays you'll want to start with the 2.0.1. Basic or Advanced Download and then check Additional Downloads for any newer things that haven't made it to the pack yet. There may be a handful of frames still exclusive to the Pichoro hub but this is your best bet for up to date frames now. Allo again. Unfortunately I don't quite have anything shiny yet, because this is a call for Flavor Bar Beta Testers! 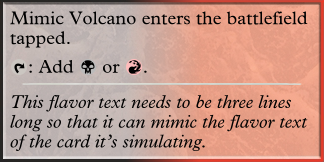 When MSE was coded forever and a half ago, they didn't anticipate the flavor bar, so while you can see that nice blue line between the rules and flavor text, the templates can't. Due to this, I've been working on a less than elegant workaround with the help of CanterburyEgg . I've had a few people ask how they can help, and I've finally got something pretty simple that can help quite a bit. If you'd like to lend a hand, download the beta folder here (also, if you haven't already for some reason, the Mainframe game files), unzip it and move the two folders inside to your MSE/data/ folder. Open MSE and you'll find "M15 w/Flavor Bar" near the front of the list, and you'll want to apply that to everything with the "Use for all cards" button. Now you'll want to go through your set and check that the flavor bar is where it should be. If you find a place where it's a bit out of place, type "!fb#" in the card notes then click the card, where # is the number of pixels it's off (use negative for moving up). At this point there should only be a few "!fb1"s and "!fb-1"s. If you find a card where it's really out of place, that means your ft is quite a bit longer or shorter than the code is expecting. For these, start with "!fbu" to correct for that, and then you can add the number if it needs bumped up further. Then I went and installed the frames in the previous order mentioned. I downloaded a big file from dropbox, Named Cajun Styles.zip that came with a Cajun Styles folder and a magic-m15-legendary.mse-style.zip file. Unzipped the Cajun Styles.zip file and the magic-m15-legendary.mse-style.zip file. Proceeded to copy everything and replace any duplicates. Then went on to individually check on the individual downloads to see of there were any files missing. Just checked the folder names and if it matched what I had I skipped it, otherwise I downloaded and copied its contents to the data folder in MSE. Not exactly sure what is causing the issue. I tried the dropbox option for the extra symbols but I got three warnings, one error and a dependency issue on the console. I have closed the MSE so I lost the warnings, but from what i remember the first three were identical package not found warnings. The fourth was a magic-mana-extras.mse... file not found in magic-m15-extras.mse-[etc]. something like that. The last one was a dependeny issue on the m15 extras file. cannot remember the specifics. I am also not 100% sure but I remember reading something about a game set up file. 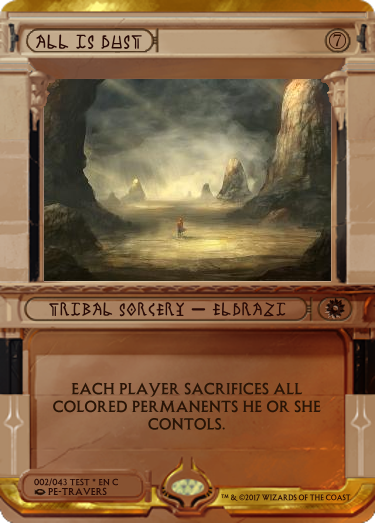 in the m15-extras file. I am sorry, I should have left it open. was trying to see if installing it again would work. Then I read the MSE 2.0.1 version. Then got a message that it reached the cap for daily downloads. Are there plans to incorporate all of these new things into a single template eventually? It would be nice to see the legend "crown" auto-detect whether "Legendary" is in the type bar or not and change the template accordingly, as well as have the flavor text divider present in all the cards. oddnanref I've let the admin know about the download cap so hopefully we'll get fixed up soon. 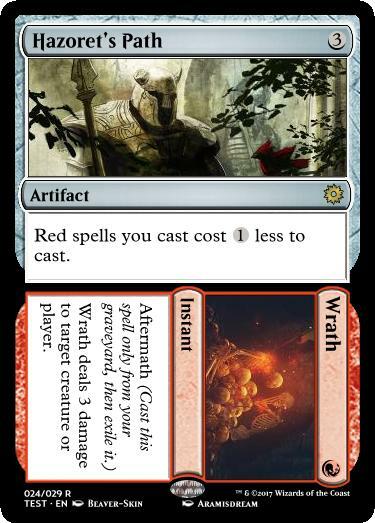 In the meantime there's a similar template pack hosted on r/custommagic that you can grab. On the Cajun Styles download make sure that you've got each of the individual folders in data/ and not in data/Cajun Styles. Likewise for Legendary make sure that there are images inside data/magic-m15-legendary and not another folder. If either of those are happening you need to bring them up a level. On the other thing sounds like you might be missing the mana fonts but I'd have to see the actual dependency and missing package errors to know what needs replaced. The one on the left looks a lot better, IMO, but the line cuts through the text in that one. In order to get the line to show up correctly, I have to shrink the text area so much that the text is really small and it doesn't look good. This is a beta test because I'm using this data to make the prediction equation better so it'll be in the right place in the first case without needing to adjust it with !fb or chopping. Oh, I completely missed that, my bad. I'll try it out, thanks! sbq92, please don't post renders of exact copies of canon cards, even if it's just a test. 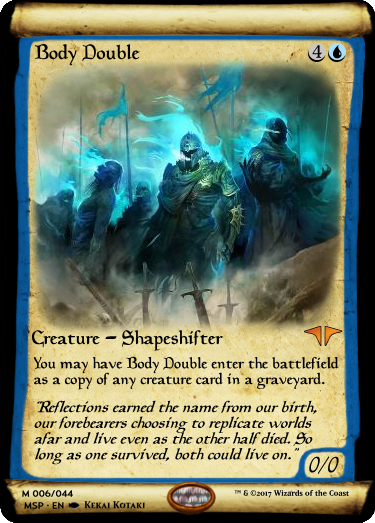 Based on the forum rules, renders of actual cards are required to have at least one of the following: different art, different flavor text, or an obviously non-canon card frame. Oh dang, my bad again... Sorry! I'll keep it mind for the future. I don't know if the official "indented line" can easily be done, but it's just something I noticed and thought I'd point out. Thanks to SirnightNano we do have a better flavor bar prepared that will be in the final version.